Concerned that you may have Oxycodone in your system? Do you have an upcoming health examination or drug test? 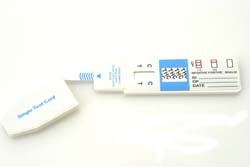 If so, it is imperative that you know exactly what is in your system to prepare for the drug test or health screening. Our 99% accurate Oxycodone drug tests are designed to detect Oxycodone, OxyContin, Percodan, or Percocet in the urine, and the results are available to you in just five minutes. From the comfort of your home you can quickly and easily determine if a drug test will uncover any traces of Oxycodone-type drugs in your system. Simply dip in your urine sample and look for either one line or two. One indicates a positive result, while two lines means no traces were detected. Enjoy discounted pricing and a 100% money back guarantee on our home Oxycodone drug tests when you order today. Contact us for more information, or simply click add to cart to get started! 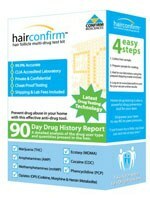 TestClear - your trusted drug testing advisors.